Students are able to quickly print on the go with Paw Prints. 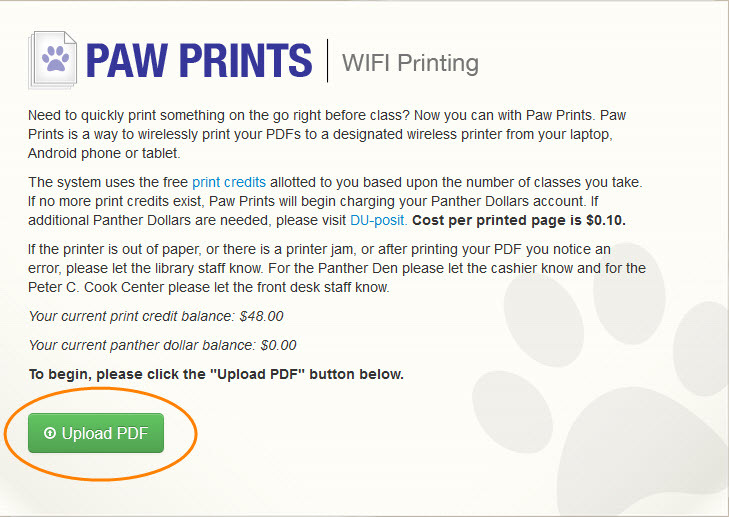 Paw Prints is a way for students with print credits to print from their laptops, Android phone and tablets, to a designated printer. 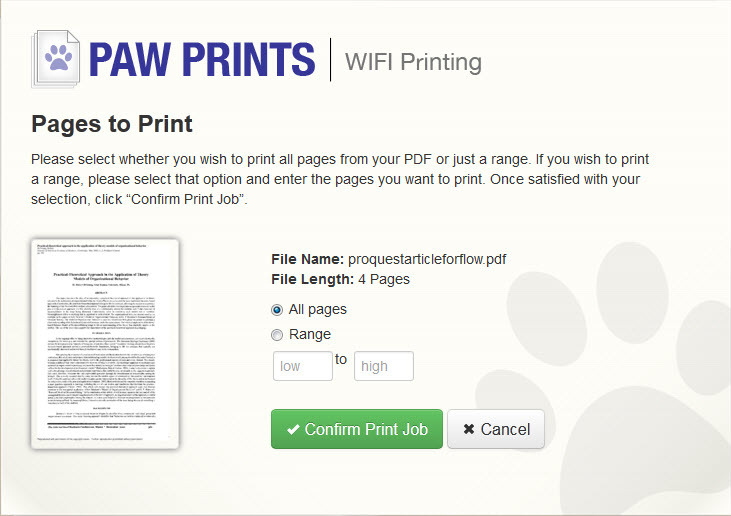 In order to print from your device, you must upload it as a PDF to Paw Prints. There is one designated printer per campus, either in the library or another designated area, that has wireless printing available through Paw Prints. 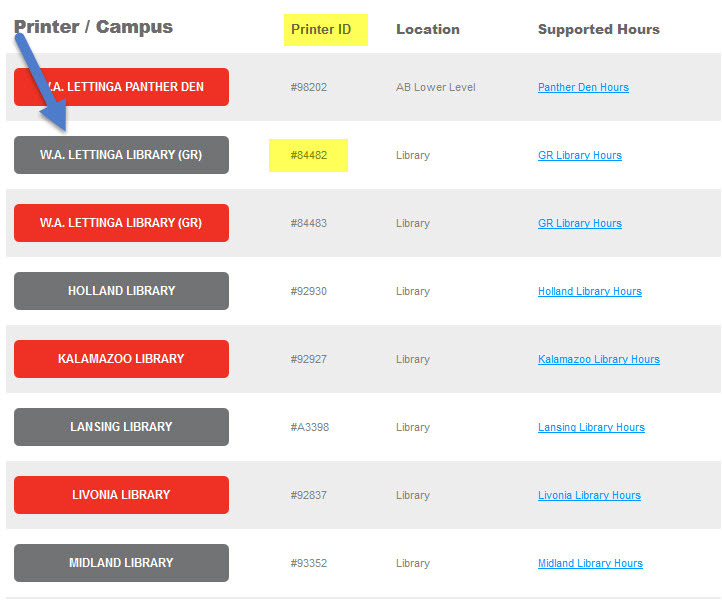 The system uses the free print credits alloted based upon the number of classes taken. 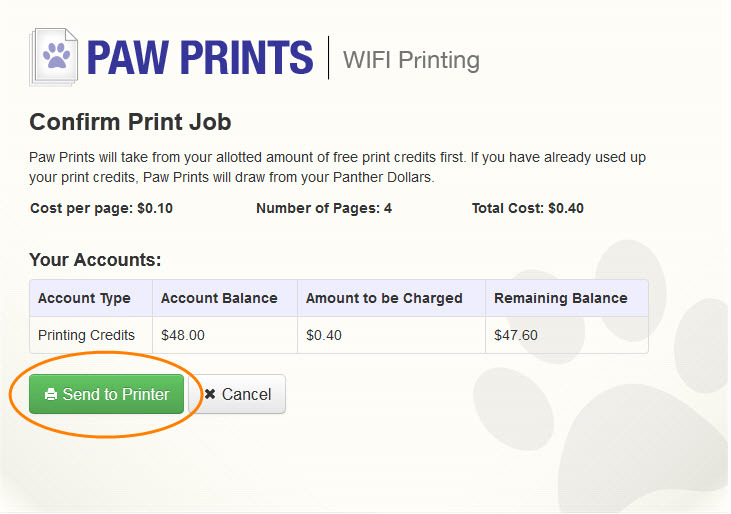 If you don't have any print credits left, Paw Prints will begin charging your Panther Dollars accounts. If you need to add money to your account, you can do so throughDU-posit. Please note there is a $10 minimum when buying Panther Dollars. Cost per printed page is $0.10. Go to the Paw Prints page and select the location and printer you want to print from. Make sure you are logged into the DU website to view the Paw Prints page. Click on the Upload PDF button. Find your document to upload and click on the upload PDF button. 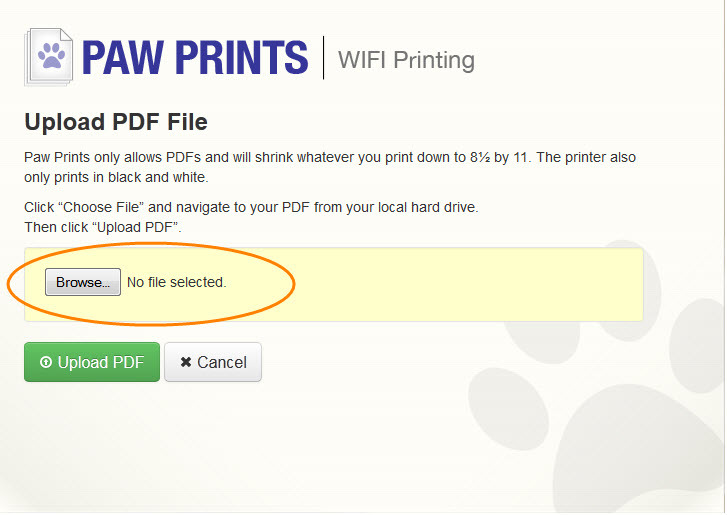 Select either Print all or choose a range of pages to print and click on the Confirm Print Job button. Hit the Send to Printer button and go find the document you printed.